Brexit: which ministers just quit May's government and why did they resign? The collateral damage for Theresa May from Monday night's latest parliamentary defeat was that she lost three more ministers from her government. Steve Brine, Alistair Burt and Richard Harrington all resigned to join Conservative rebels who voted in favour of a cross-party amendment to put forward alternative solutions to the prime minister's deal. The amendment was passed, meaning that on Wednesday business in the House of Commons is in the hands of MPs. They will get a series of "indicative votes" to find out what kind of arrangement the House of Commons might support. 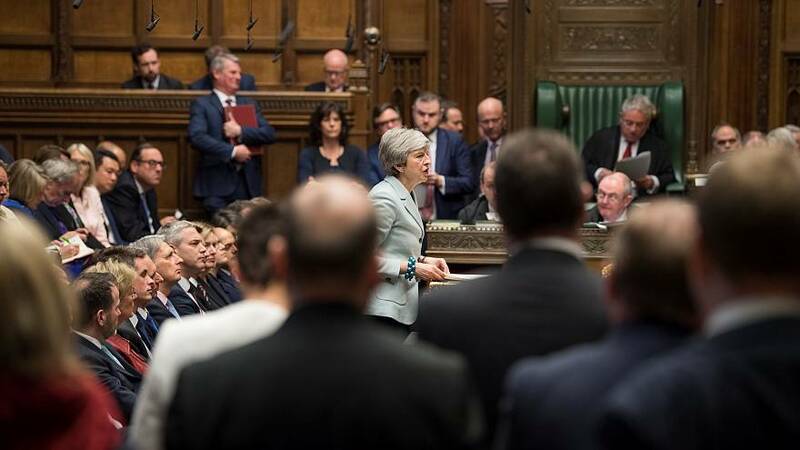 Theresa May – whose deal negotiated with the EU and approved by all member states has been rejected twice by MPs – has reacted with scepticism to the process. She has resisted moves towards a "softer" Brexit, opposed by many in her party. The deadlock in the British parliament and the EU's new hard deadline of April 12 has revived the possibility of the UK leaving without an agreement. The UK will leave on May 22 if the Brexit deal is passed this week, but the European Commission has said no-deal is "increasingly likely". All three ministers – who had voted for the withdrawal deal – cited their opposition to a no-deal Brexit as the reason for their decision to quit the government on Monday. Ex-Public Health minister Steve Brine said in his letter to the prime minister: "I feel so passionate that leaving without a withdrawal agreement is not... in the national interest... My view on 'no deal' has formed as a result of countless public statements from business, public services, security services and testimony from a wide range of my own constituents." He added that the House of Commons must be free to determine a common position. Ex-Foreign Office minister Alistair Burtreleased a press statement saying the risk of leaving the EU without a deal had brought "serious and disruptive uncertainty", and parliament needed "urgently to resolve the situation by considering alternatives freely". "I did not believe the Government was prepared to do that, so had to ensure this happens," he added. Ex-Industry minister Richard Harringtonpublished his letter on Twitter: "I regret that the government's approach to Brexit is playing roulette with the lives and livelihoods of the vast majority of people in this country who are employed by or otherwise depend on business for their livelihood." He added that a no-deal Brexit would lead to lost jobs and ruined livelihoods, in the name of a "giant economic experiment" championed by a small minority of economists and Conservatives. More than three dozen ministers have left Theresa May's government since the 2017 General Election. Several have quit because of Brexit, reflecting the deep divisions that go right through the Conservative Party up to top Cabinet level. The departures include prominent Eurosceptics such as the former foreign secretary Boris Johnson, and the ex-Brexit ministers David Davis and Dominic Raab. In recent weeks the path towards Brexit has resembled something of a slalom course. Pressure from Europhile ministers forced Theresa May into allowing parliamentary moves that resulted in a Brexit delay; pressure from Eurosceptics is thought to have ensured that the UK then sought only a short rather than a long extension. What is the British parliament going to do next about Brexit?